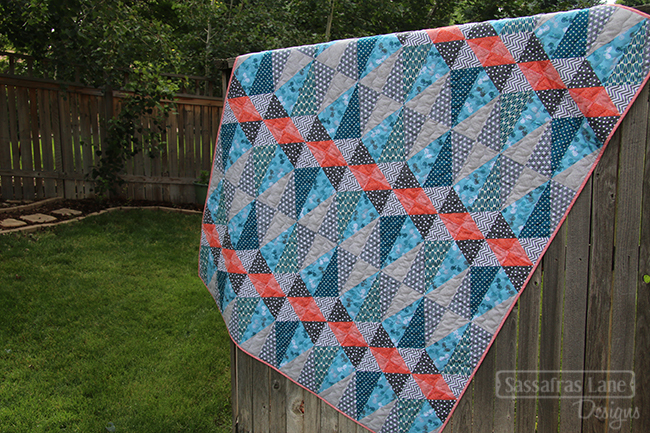 I'd like to introduce my little sister and "the other daughter" as she is commonly called in our quilt world! Alayna is a kindergarten teacher in Issaquah, Washington and just got a new place up there with my brother. 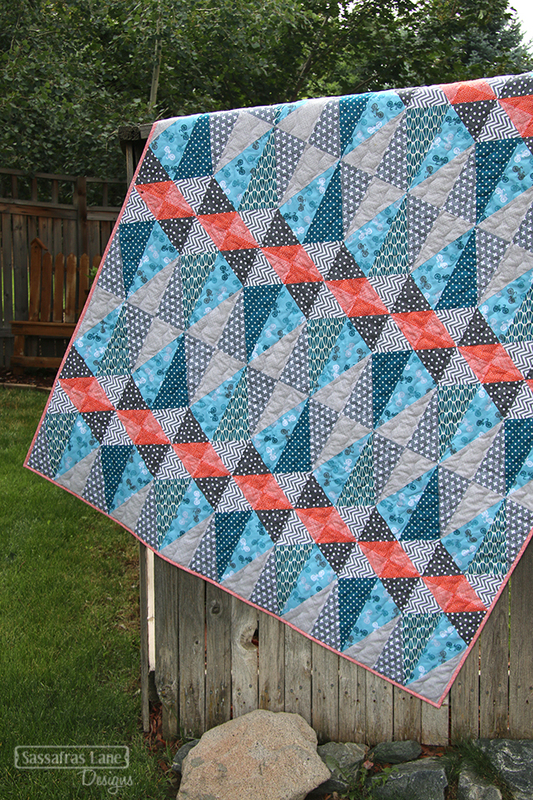 When she was in town last, she wanted to make a quilt for the new place and she chose to sew up a Euclid Avenue quilt. She had a great time digging through our extensive fabric stash and pulled a collection of blue, grey and orange prints. She definitely has the same love of geometric prints that I do! 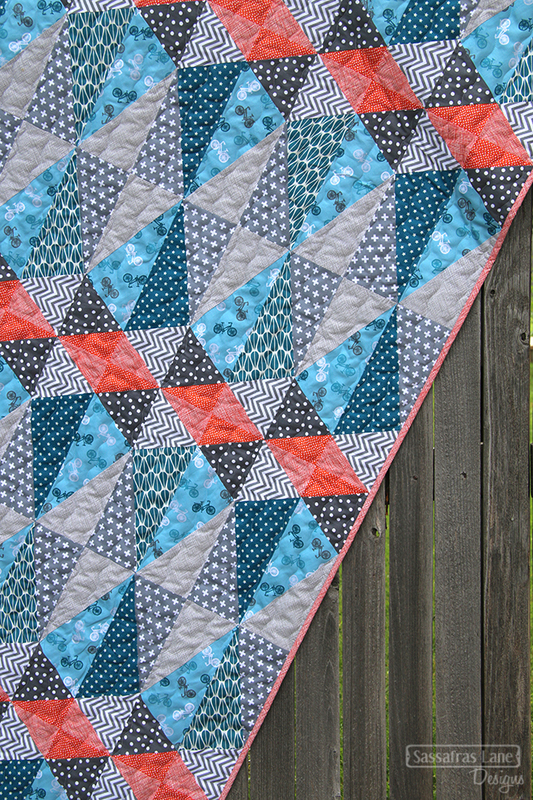 She claims to be the non-sewing child, but she does know how to sew and sewed most of this quilt herself! I am very proud of her and love her fabric and color combinations. 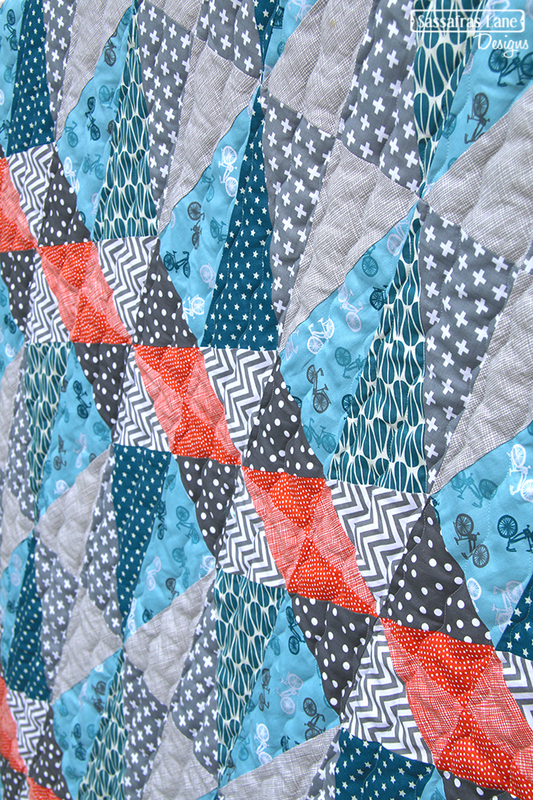 My Mom quilted this Euclid Avenue quilt with large wavy lines spaced 1 apart and used wool batting to make the quilt kind of puffy! I hope they take it down during the winter and use it to snuggle! Here are some photos. 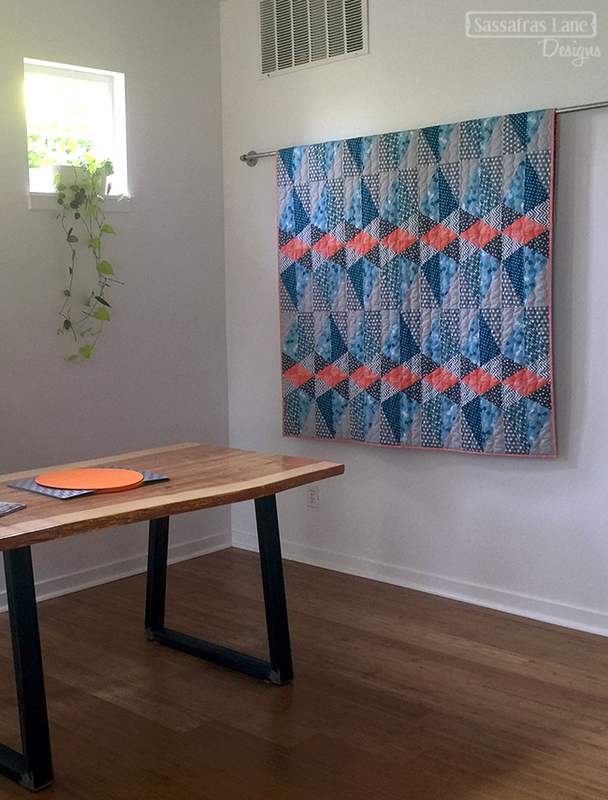 Finished Size: Grande - 56" x 72"
And here is the quilt hanging in the dining room of their new place! The Euclid Avenue pattern is available in PDF and paper form. If you make this or any other Sassafras Lane project, we would love to see it! Send us photos or post them to our Flickr group. Thanks for stopping by! SMALL world! 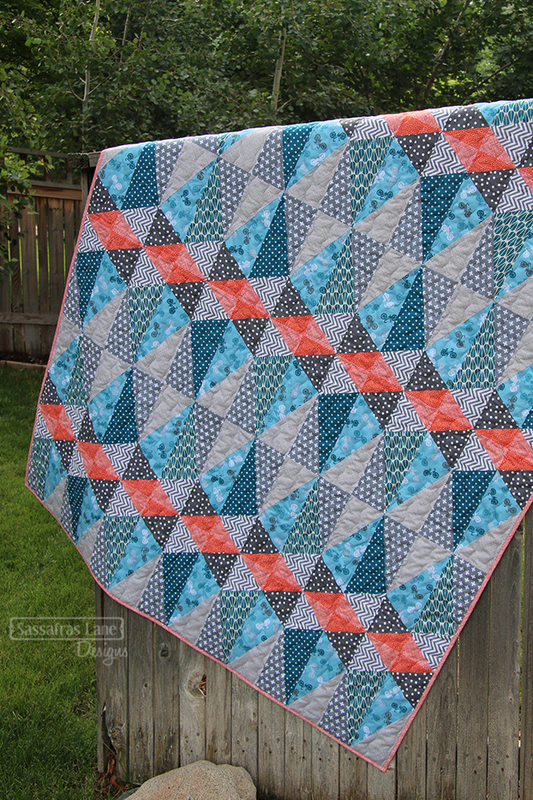 Was looking up your Firelights Lane pattern to loan out our American Made Brand quilt made from it and came across your post. We live in Issaquah – too funny!